With all that’s going on in the world lately, it’s no wonder that we all get the urge to get away from it all at some point. Spring is the perfect time to discover all the beauties nature has to offer, seeing how everything gets engulfed with colorful tones – From vivid gardens, sprouting forests, blooming outfits and… Mosaics! Italy is an amazing touristical attraction thanks to the large variety of things to try and places to see. 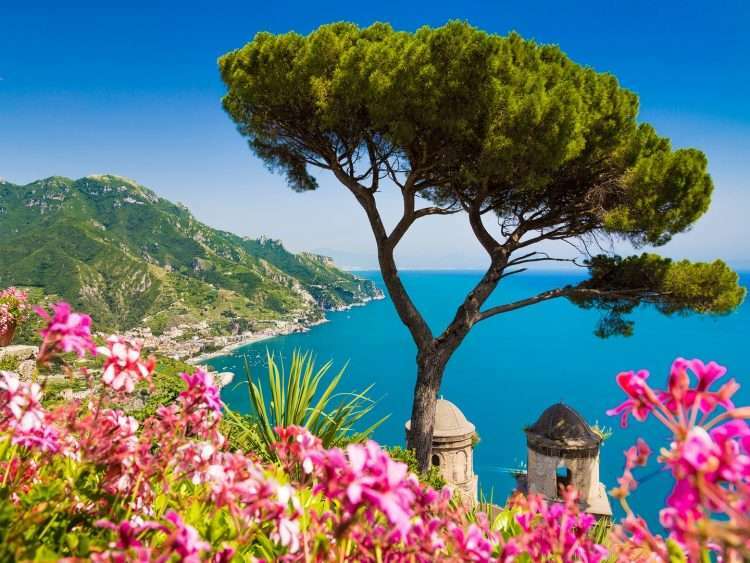 From the dazzling pristine waters to the lively endless nights in the city – Italy has it all. ”The boot” or Lo Stivale makes a great destination for Adventure seekers, Food lovers, Art Aficionados and much more. 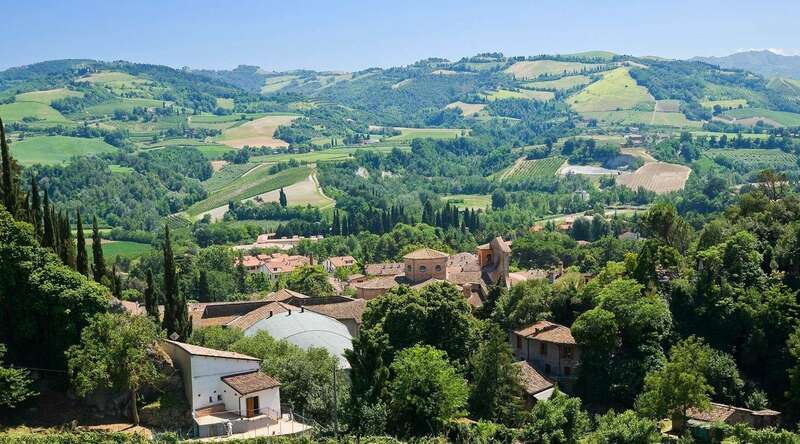 However, one aspect of Italy’s tourism that hasn’t been widely renowned is the fact that Lo Stivale hosts some of the world’s most beautiful mosaics. Thinking of planning your next adventure? 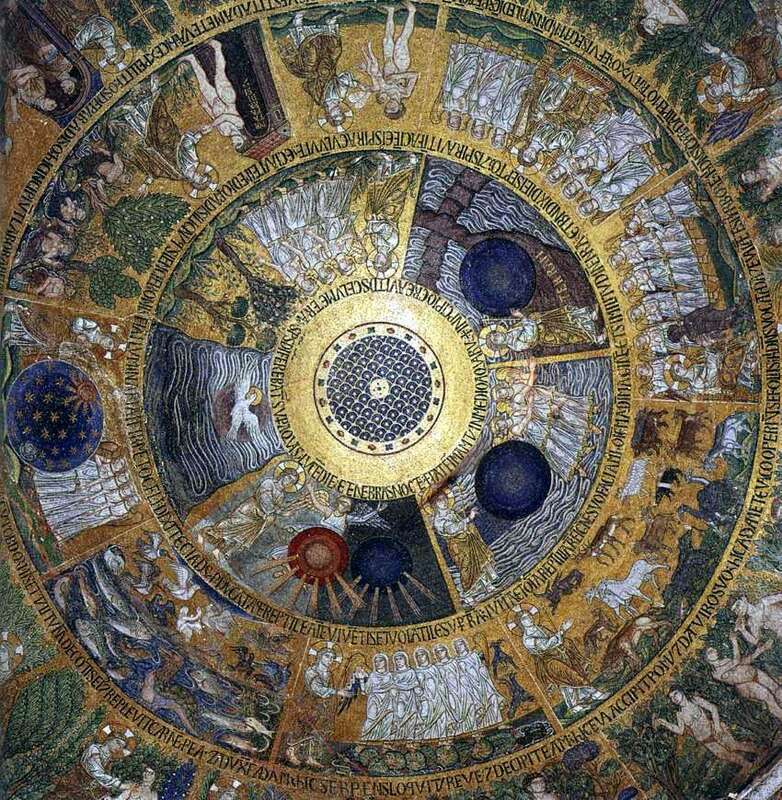 We’re here to help, we made a list of some unique Mosaic Art tourism destinations in Italy. Start Discovering! 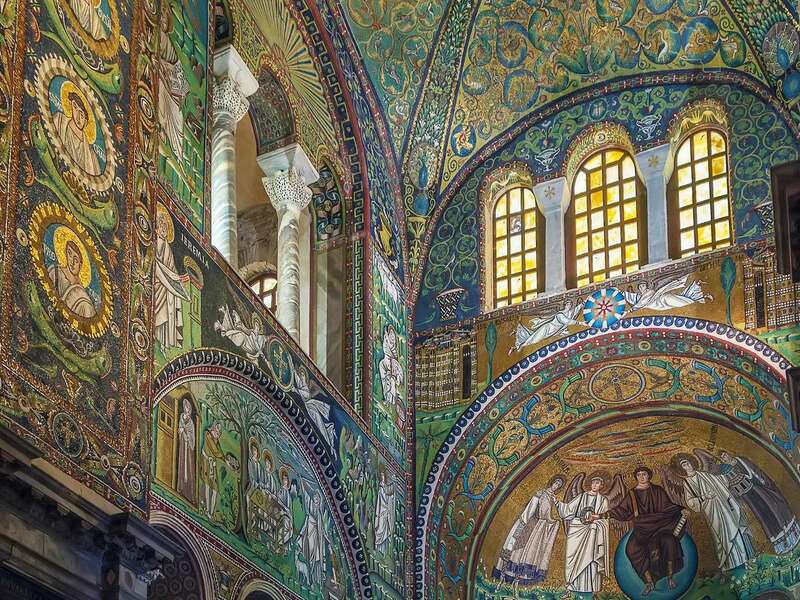 The beautiful city of Ravenna is one of Italy’s many hidden gems. Located in the Northern region of Italy, it is a must stop for anyone looking to do some mosaic and architectural tourism. This enchanting city contains some of the world’s oldest and finest mosaic pieces that have existed for centuries. It is under-appreciated and also underrated to be included in the art cities scene. The beautiful basilica of San Vitale is an example of the precious work and impeccable craftsmanship of the byzantine era. Inscribed in 1996 on the UNESCO World Heritage list, this exceptional basilica has a rich ecclesial history. All of the mosaics found are crafted with rich colors and vivid imagination. Just across of san Vitale is this exquisite monument which is also well known for its beautifully crafted mosaics. 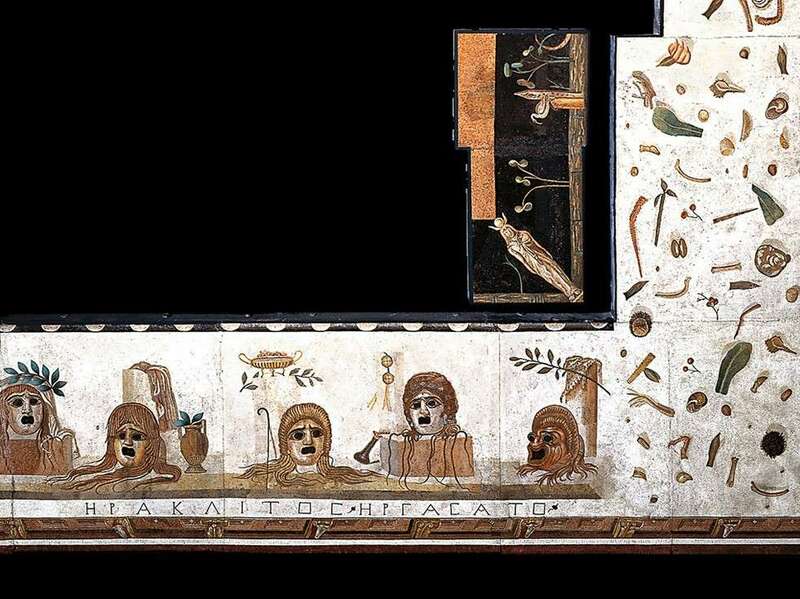 it houses vibrant and uniquely crafted mosaics that were covered in gypsum and alabaster as to allow better view for mosaics and to make them stand out more. Another important mosaic destination and also equally important archaeological site is the Domus Dei Tappetti Di Pietra which is a large underground space located inside the lovely church of Santa Eufemia. The fourteen rooms are fully crafted with handmade mosaics from the Byzantine era with beautiful floral, geometric and figurative design elements. 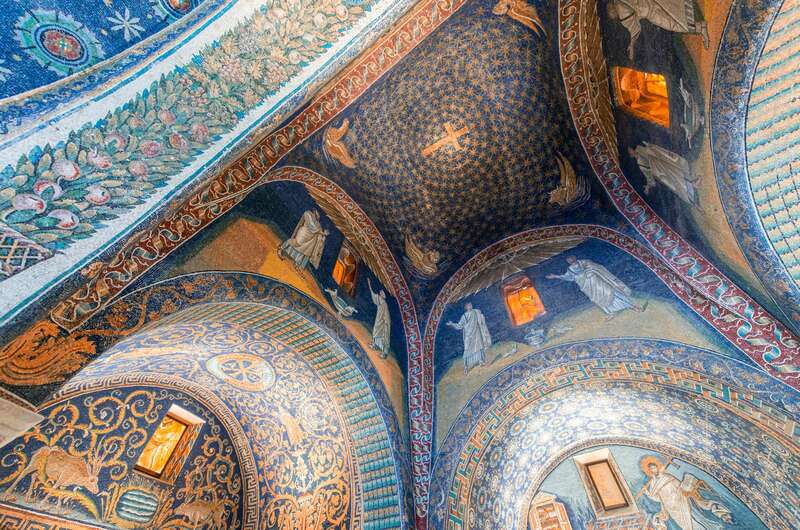 Pro-Tip: Be sure to attend the Ravenna Music Festival surrounded by basilica san vital’s finest mosaics. 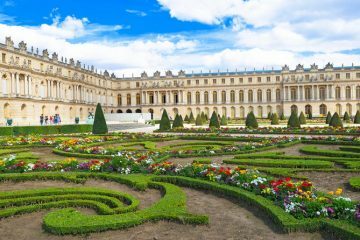 Running from May to July each year, this is a must-visit for art, architecture and music lovers combined. 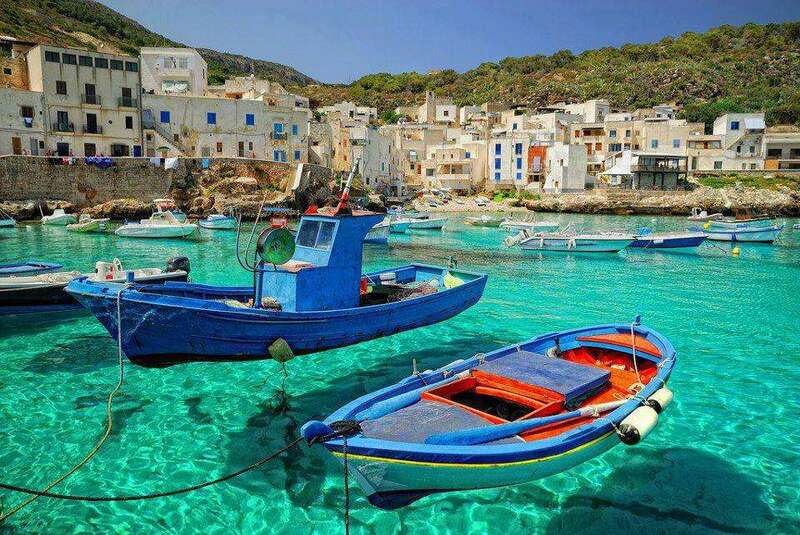 The beautiful island of Sicily or as referred to in official as the regione siciliana, holds much more than just amazing crystal pristine waters. You can find well-preserved ruins and monuments in the largest island of the Mediterranean. 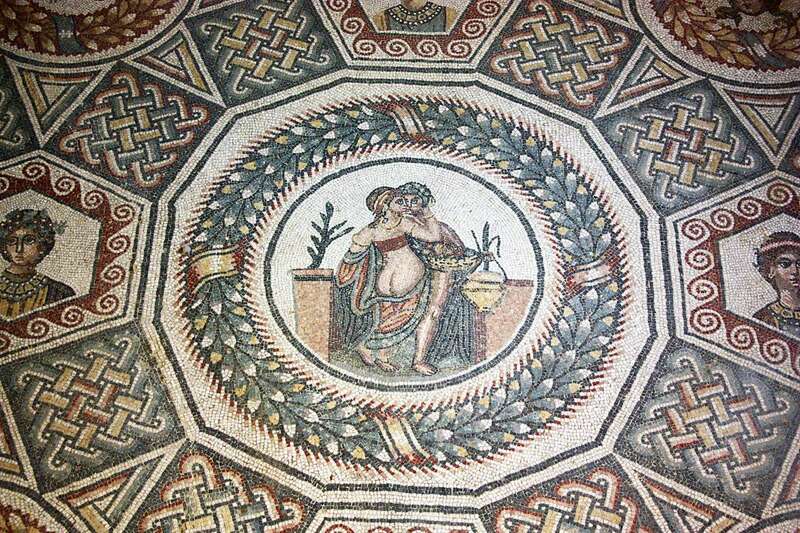 Built during the beginning of the 4th century A.D, Villa Romana in Sicily features many forgotten yet beautiful mosaics such as the famous ‘’bikini girls’ and many other mosaics present indoors. 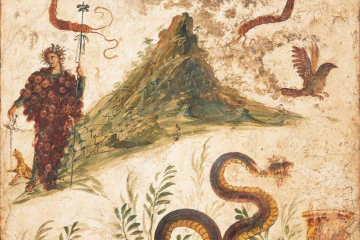 What makes Villa Romana del Casale a unique visiting destination is the fact that the mosaics in the building present varying styles; from mythology to Homeric poems while another style used is portraying nature scenes from the Roman life. 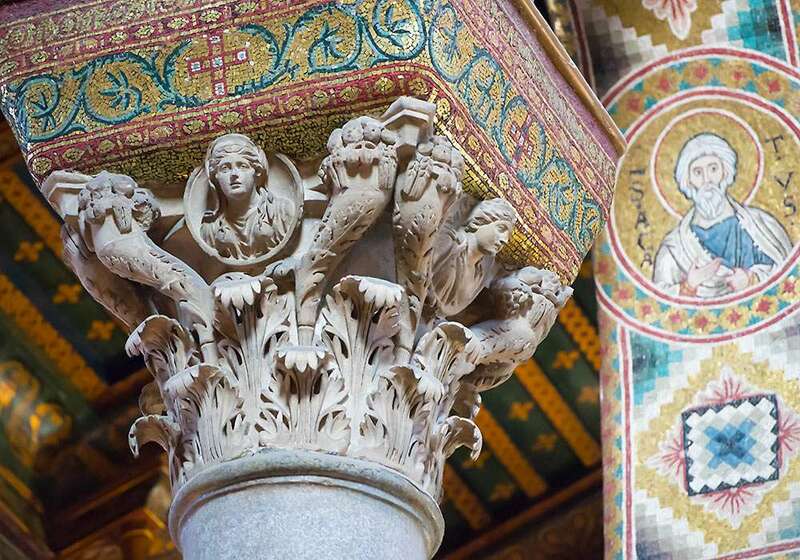 The beautiful cathedral in Monreale Palermo is regarded as one of the top churches in Sicily. Monreale or monte-reale means royal mountain and that is where the church was built upon. Constructed in a beautiful architectural style, the whole building is enriched with beautiful craftsmanship and mosaics from the byzantine area in addition to Norman and Arab era styles. The mosaics present in the church were crafted with 2.4 tons of gold and are one of the most exorbitant mosaics in the world. Impressive, isn’t it? Rome “The eternal city” is very well known for its sprawling lights and lively streets, on-going festivals and late ending nights. It holds some of the greatest masterpieces of the world such as the colosseum, the Vatican museums, and many others. But what doesn’t always make it to the top list is the mosaics. A real treasure in the midst of roman churches. It was built during the artistic Christian civilization in Rome and has been a point of pilgrimage for people all around the world. 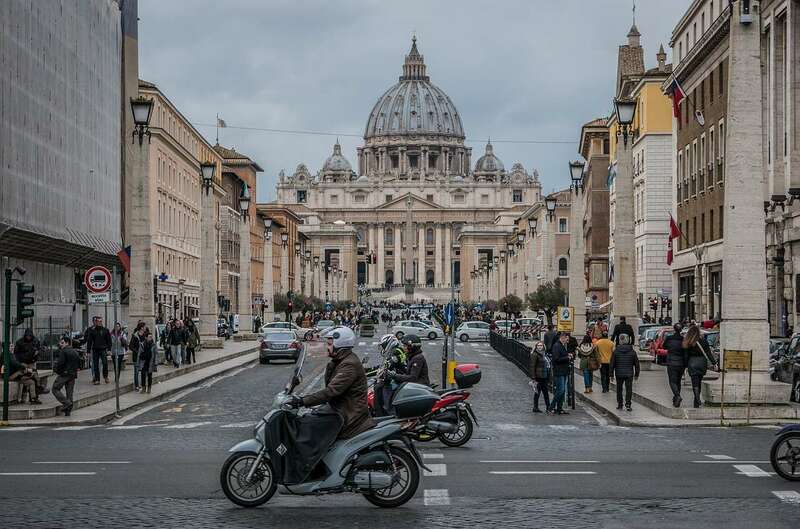 Present inside the eternal city – The Vatican – this basilica has kept its original structure thanks to the many restoration processes it has undergone. 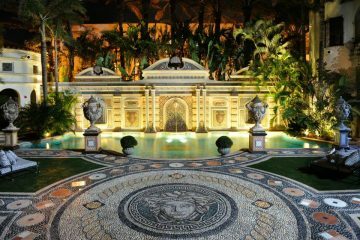 It contains some breathtaking mosaics that have been finely crafted and well kept, the gorgeous mosaics located inside are sure to inspire any art lover. One of the oldest churches in Rome, the Saint Pudenziana basilica hold mosaics that were crafted during the 4th century A.D. 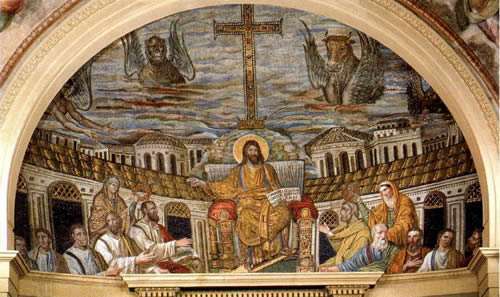 The pope wanted to support the roman Christianity faith by celebrating Jesus christ so we notice that most of the mosaics refer to this occasion. The Caracalla baths in Rome hold a collection of statues and also restored mosaics describing athletic events and portraying different designs of athletes with competition judges. 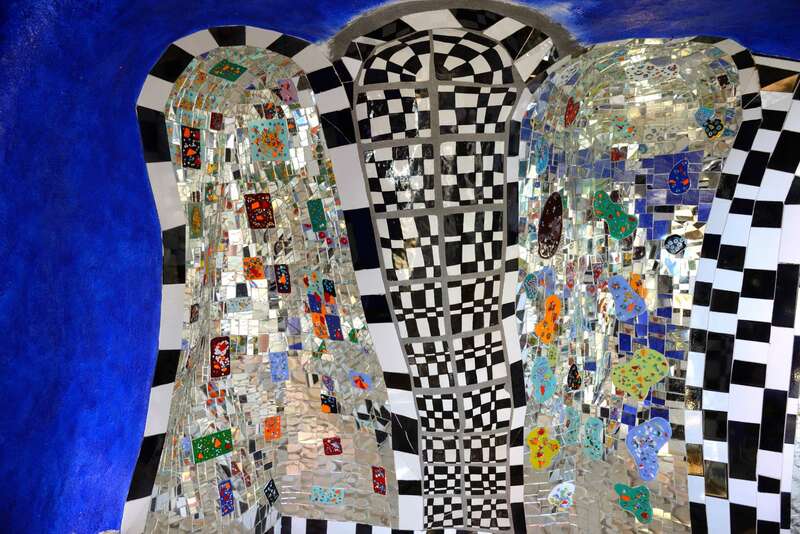 The works of Niki de Saint Phalle were largely influenced by Antoni Gaudi, the life’s work of Saint Phalle depicts an endless world of creations where anything can be understood yet also unexplained. The beautiful mosaics hold much meaning in the eye of the beholder, some interpret them as aesthetic, uncanny, artistic or even crazy. We say you should go and see for yourself! Basilica Di San Marco is a world renowned church, located in Venice and overlooking the grand canal. Both the exterior and interior of the basilica holds extensive architectural eye-candy, but what makes it unique are the details at the front of the basilica which hold some of the oldest exterior mosaics of the Byzantine area from the 12th century. 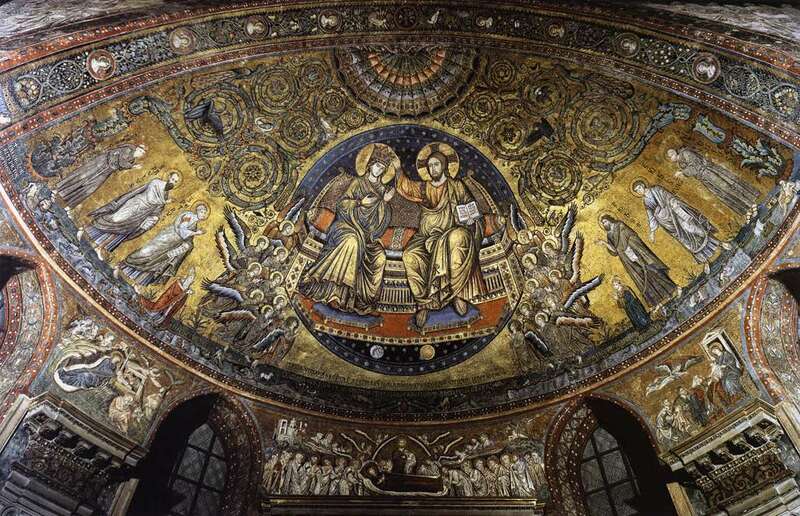 The interior contains amazing mosaics some of which are made with gold to present the light of God. 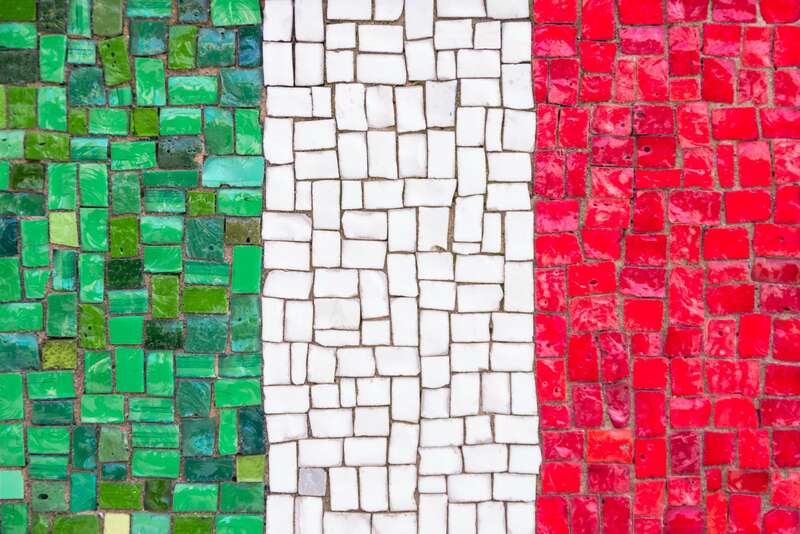 Share with us your best mosaic photos in Italy for a chance to be famous on our Facebook page! 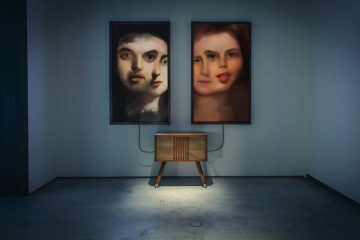 Which country is your favorite destination for Art tourism? If you would like us to feature a different country for mosaic tourism let us know in the comment section below.